When we are stressed or under a lot of pressure, we build a cozy cave in the home with lots of pillows on the couch and thick curtains from ceiling to floor, says futurist Mette Sillesen. 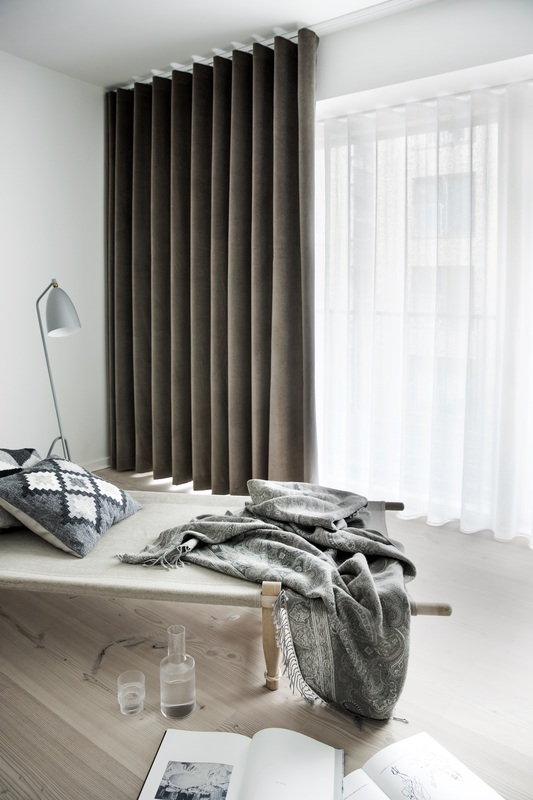 This development is recognized Moogio, finding that the Danes increasingly demand soft velour curtains or double-layered curtains. - It is quite natural that in a time of stress and insecurity in the world, we react by looking for the opposite, namely security and cosiness. We make our home into Aladdin's cave and decorate with rustic furniture, lots of pillows on the couch and soft, thick curtains that shield us, says Mette Sillesen. She predicts that it is a trend that will last a number of years into the future. 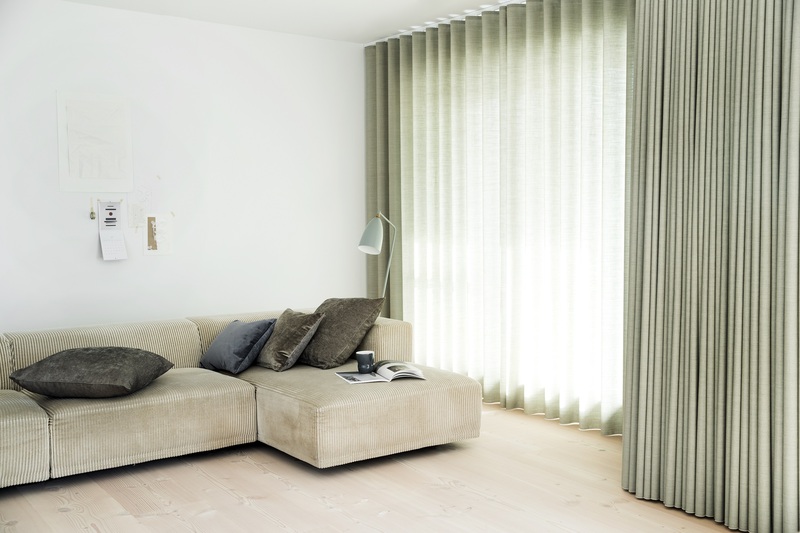 At Moogio, many years of bright and lightweight curtain solutions have been fiercely contested by the good 'old-fashioned' curtain solutions, such as soft velour curtains or curtains in two layers - like curtains from ceiling to floor. - For a number of years, just about all the curtains had to be simple, light and bright, but now, more and more people would like to have the heavy curtains back, and the blue, green and brown colors are popular. Fortunately, many are no longer scared to put colors on the curtains. We need contrasts in our interior design,or it will be awash with white on white, says marketing manager Bo Pihl from Moogio. Many decorate with a light curtain inside and a thick colored curtain on top. The thin curtain is used when shielding the sun while the thick curtain is pulled in the evenings when you want to relax away from prying eyes. Velour curtains are used both with and without a thin curtain inside. - In many single-family houses and around the major cities, we live close to each other. In addition, modern homes often have large windows. That means it's easy for anyone who walks past a house to look in, and most of us do not care for that. Here, thick curtains also serve a very practical purpose. Namely, we can be completely private in our own home, says Bo Pihl. Many Danes are all about the stylish Nordic interior design. However, it does not rule out a curtain solution with soft velour curtains or double-layered curtains - and preferably from ceiling to floor. It makes sense and does wonders for the acoustics in the home. Wood or stone on the floors and high ceilings provide harsh acoustics that the curtains help to soften. - We have not ditched the New Nordic style, but it can easily be combined with Old Eastern, which softens the interior design and makes the home more cheerful and cozy, so we feel that the home is our safe place, says research scientist Mette Sillesen.